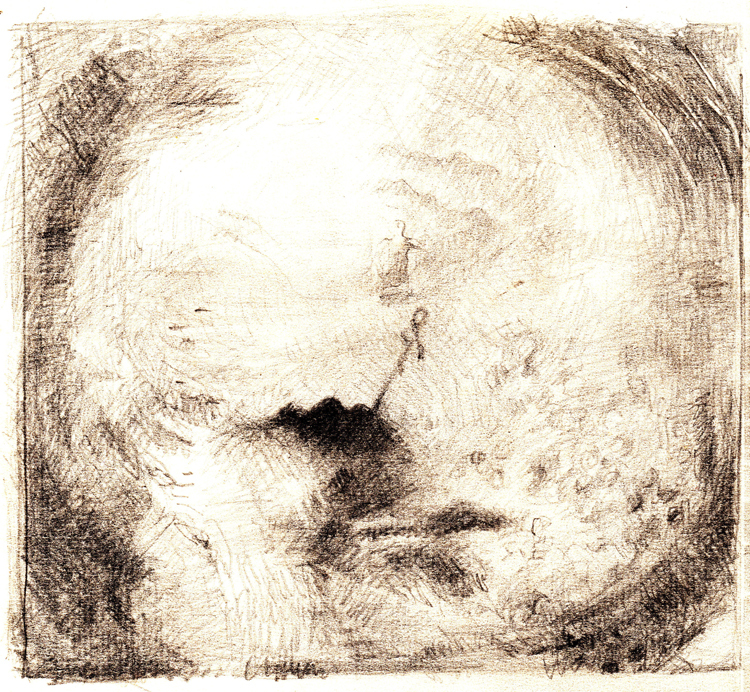 after Turner – Helena Hildur W.
The complexity of JMW Turner’s work is stunning and miraculous. Yesterday, I spent some hours with a couple of them, pencil in hand. It was the next-to-last day of the Turner/Monet/Twombly exhibition at Moderna Museet (Stockholm); queuing started before opening, and hundreds of people filled the exhibition space. Yet the atmosphere was relaxed, friendly – the museum guards attentive in a quiet, kind way; the public taking turns in looking closer or from a distance at the paintings, giving each other time and talking softly under their voices; and the murmur had a warm tint to it. Several times, I heard dialogue develop between strangers, and also got involved myself. This is just how it should be. 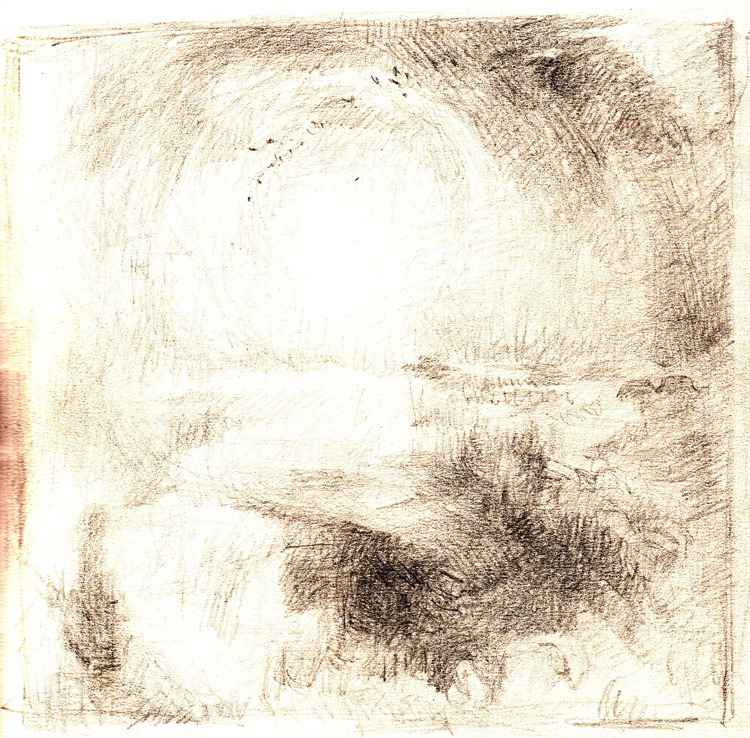 Turner’s painting doesn’t give itself away instantly. There is always more to see. Composition is often powerful, compelling, and works at first sight. Then, if you stay with the images, they deepen and evolve on different levels; figuratively, choreographically, materially, spiritually.